If you are or are not a member of the Space, this registration will give you a one day pass and get you into the event! Do you write poems, play an instrument? Maybe you juggle, tell stories, or fan dance? Or some other artistic skill to share? Then join us at our second ever Bard Circle! 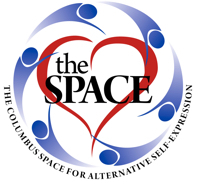 The Columbus Space is joining forces with a wide-range of creative people and creative groups, to bring you a Bard Circle right here in Columbus! We will gather in a great big circle in our private facility and anyone that has a desire to share their artistic expression will take a turn on the stage. From playing an instrument, to dancing, to telling a story, to passing around your favorite artwork, to sharing a poem, to knock knock jokes; the stage is yours! This is your chance to share your artistic self in a safe, welcoming and supportive atmosphere.